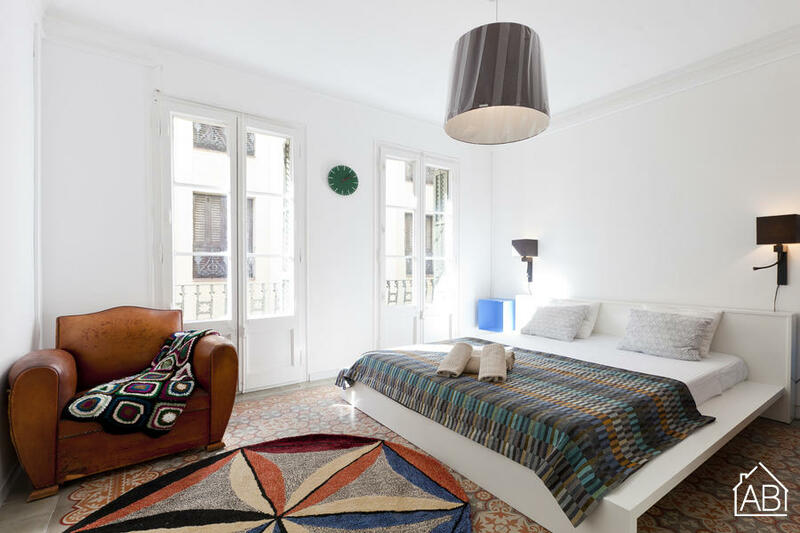 This spacious and colorful three-bedroom apartment is located in the beautiful neighborhood of Gràcia. This lively area is filled with boutiques, restaurants, bars and cafés and is just a short walk or a metro ride from Passeig de Gràcia. This chic apartment is beautifully designed throughout its entirety. One bedroom has a double bed while the other two bedrooms contain single beds. In total, the apartment sleeps five guests. The kitchen is very modern and comes with all appliances and utensils such as an oven, stove, microwave, pots and pans etc., allowing you to prepare a home cooked meal at your own leisure. The apartment has one full bathroom and one W.C. This apartment comes with all things necessary to ensure you have a comfortable stay including TV, heaters and a balcony.